HOW TO REAR AND MANAGE THEM. EDITOR OF "THE POULTRY WORLD," " THE AMERICAN POULTRY YARD," AND "THE CO-OPERATIVE POULTRY POST." 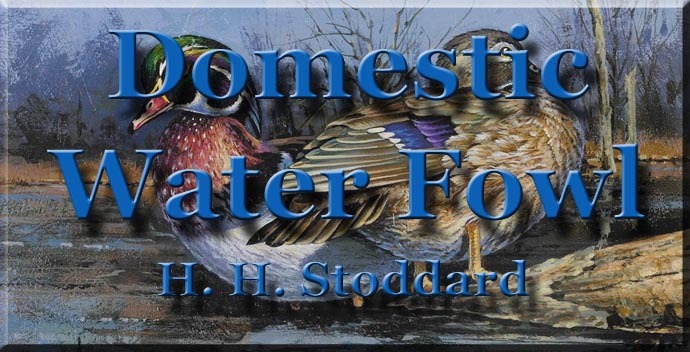 AUTHOR OF "AN EGG FARM," "POULTRY DISEASES," "POULTRY ARCHITECTURE," "LIGHT BRAHMAS," " WHITE LEGHORNS," "BROWN LEGHORNS," "PLYMOUTH ROCKS," " WYANDOTTES," " INCUBATION; NATURAL AND ARTIFICIAL," " HOW TO FEED FOWLS," "HOW TO WIN POULTRY PRIZES," " HOW TO PRESERVE EGGS," ETC. 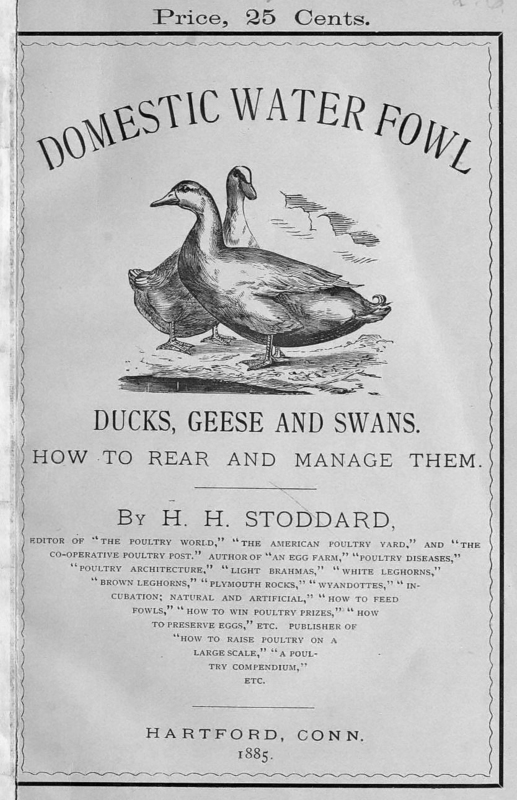 PUBLISHER OF "HOW TO RAISE POULTRY ON A LARGE SCALE," " A POULTRY COMPENDIUM," ETC. Copyright, 1885, by H. H. Stoddard.